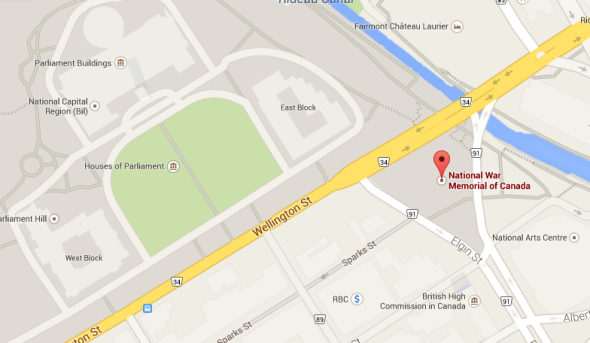 Canada Parliament shooting: At least one killed. Police on Parliament Hill in Ottawa. This post is being updated as new information becomes available. Parliament Hill came under attack today after a man with a rifle shot and fatally wounded a soldier standing guard at the National War Memorial in downtown Ottawa, before seizing a car and driving to the doors of Parliament Hill’s Centre Block nearby… Moments later, MPs and other witnesses reported 30 to 50 shots fired inside the main Parliament building. It was confirmed later the gunman was shot dead inside the building, felled by the House of Commons sergeant-at-arms and RCMP, according to MPs’ accounts… Police sources have confirmed to CBC News the dead shooting suspect is Michael Zehaf-Bibeau, a Canadian born in 1982… Prime Minister Stephen Harper was on the Hill at the time of the shooting, but was safely taken away. Ottawa police say “there is no one in custody at this time…” Police would not say whether they still suspect another shooter is involved. Parliament Hill remains under lockdown late Wednesday afternoon. 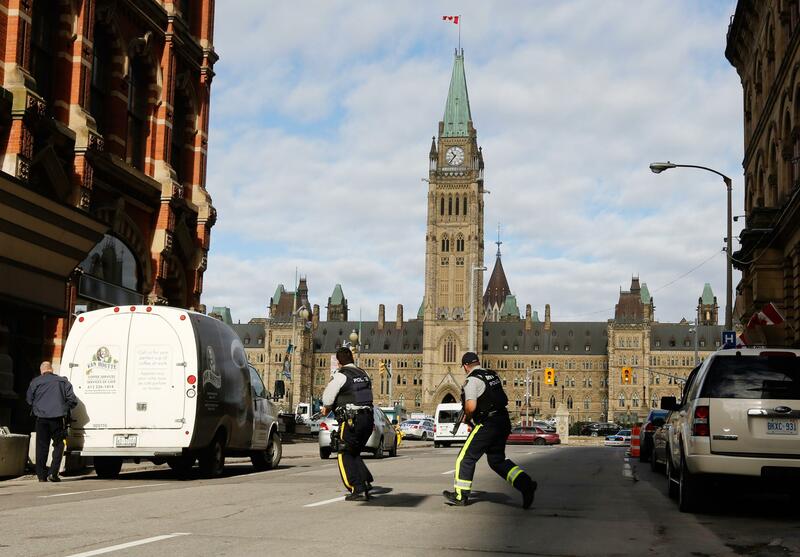 Original Post: An armed man has been killed inside Canada’s Parliament building after a Canadian soldier was shot at the country’s nearby National War Memorial, the CBC reports. Another shooter is believed to be at large. Ottawa police say the soldier who was shot has died. The House of Commons was scheduled to debate gun law reforms this afternoon. Correction, Oct. 22, 2014: This post reported prematurely that the Canadian soldier who was attacked had died. This assertion was based on a New York Times account that was subsequently changed.